Kekavali is the most popular work of the great Marathi poet Moropanta (1729-94) He was the most prolific writer of the period having to his credit thousands of verses comprising of about seventy-five thousand couplets in 'Ovi' metre on various mythological themes. He is, however, specially remembered for his outstanding poem Kekavali composed in 'Prthvi' metre. Even after a long span of two centuries the lure of Kekavali is still on the public mind and the poem continues to be read widely even today. P. V. Bobde (Born 1916) is a veritable scholar steeped in literature and philosophy. His first book At Thy Feet was published in 1965, which received high approbation from scholars. 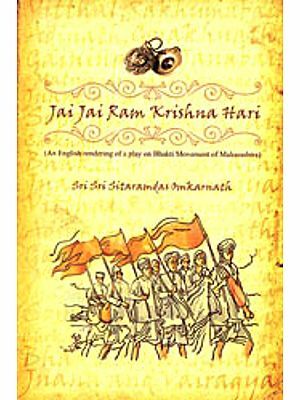 Many eminent critics have opined that the book is reminiscent of Gurudeva Tagore's Gitanjali. 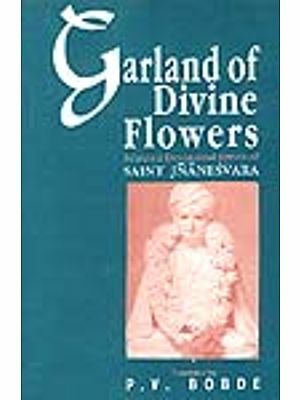 This was followed by his another Garland of Divine Flowers an English Translation of the selected Marathi poems (abhangas) of the great poet-saint Jnaneshwara. The author has to his credit three Marathi books also. His latest work in English 'Salient Features of the Philosophy of the Bhagawad Geeta' is in prospect. To put the thoughts and feelings expressed in one language into another is generally known as translation. But it would be ludicrous to say that merely the use of a word for word in other language is translation in the true sense of the term. For one who ventures to take up the task of translation it is absolutely necessary to possess the capacity to enter into the heart and mind of the author, whose work is to be translated and also to identify himself completely with the feelings and sentiments of the author. Without close acquaintance with the language from which a work is to be translated, as also a good command over the language into which the translation is to be taken up, one need not pose to brave this danger involved in the translation work. As a matter of fact, to render from poetry into prose in one and the same language is in itself not an easy job. It should not therefore be difficult to imagine how it would be an uphill task to translate even into prose a work of poetry in any other language. Poetry is the supermost form of expression, rarely possessed by one amongst thousands. At times, powerful feelings and sentiments stored up in the heart of a poet, do suddenly burst in the form of words, and this spontaneous overflow assumes the shape of a gifted piece of poetry. This is in fact only a God's gift not available to all. Now to transmit the sentiments of such a gifted poet into the hearts of readers is not an easy job without a thorough knowledge of words and idioms of language. In addition, it is also essential to be in possession of the capacity to identify one's self completely with the poet's inner self, his heart and mind. Moropanta is supposed to be a jewel in the crown of Marathi classical poetry. He possessed wonderful mastery over Marathi and Sanskrit. He had exclusive capacity to wield words into marvelous structure. He gave vent to his thoughts, feelings and sentiments in eloquent language. Rhyming was a child's play to him. Right from a simple one-letter rhyme, he could with remarkable ease rhyme two whole lines or carans of a stanza with different meanings to the great astonishment of the readers and has naturally evoked their high admiration. Moropanta's poetry is be decked with Sanskrit, erudition, jugglery of work-structure, fine arguments and skilful advocacy of his own cause rendering numerous illustrations from the Puranas. A mere literal translation of this type of scholarly poetry is not enough. Unless the whole poetic beauty in its original form is brought to the experience of the reader, the translation might be of no avail. Sri Bobde wields a remarkable mastery both the Marathi and English languages. By God's grace, a sympathetic and sentimental mood, so necessary or appreciating poetry, has been bestowed upon him, this is why he could, during the preceding years, successfully render one hundred eight Abhangas of Saint Jnanesvara into lucid English. He has thus obliged the English knowing readers by enabling them to approach as near as possible the mystic and spiritual wealth of the Marathi saint-poets. 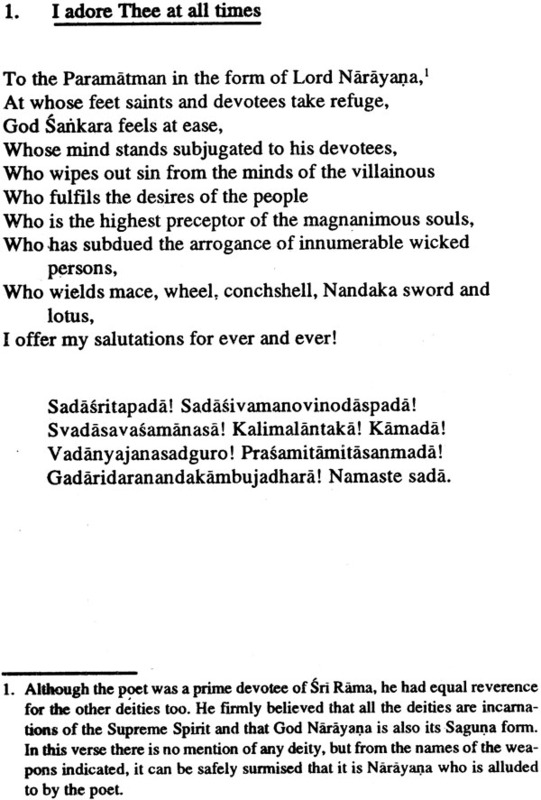 Sri Bobde has given a beautiful English prose rendering of the one hundred and twenty one slokas of Kekavali, which would certainly enable the readers to have a live experience of the poet's feelings with all the finest points. The Kekavali is a reflection of Moropanta's mental torture, his restlessness or salvation, his unbearable impatience or communion with God, his pitiful entreaties to deliver him of all sins as also the intelligent arguments put forth to establish and justify his stand. To transplant the poet's inner self into the reader's heart and mind is in itself a great achievement of Sri Bobde. Moropanta is primarily a very sensitive and sentimental poet having full faith in God. The Kekavali is an outburst of his restlessness and passionate longing for God coming about when he began to notice the signs of his approaching end. Sri Bobde, it seems, has been successful in having an access to Moropanta's heart and to drink deep all his restlessness, or else, how could he render the same into an accurate and vivid English prose? The reader does not find the slightest difficulty in understanding the mythological episodes and the various characters involved in them. The Glossary given at; the end of the book as also the footnote will go a long way in facilitating the reader to know the meanings of certain difficult words and be introduced with unfamiliar mythological references. It is a universal experience that in old age, as one approaches the ultimate destination of life-death-one longs to look back upon one's own life in a very dispassionate and detached manner, with a view to enumerating the plus and minus points, achievements and failures, and years for a peaceful and contented departure from the world. This experience is universal in the sense that it is common to all irrespective of caste, creed or religion. The reader would not find it difficult to absorb the feelings of the poet for which he should be grateful to Sri Bobde for providing him the opportunity to peep into the mind of the poet, who appears to voice the sentiments of all those, who are gradually heading towards the ultimate point of life, the irresistible death. Prof. P. N. Joshi of Poona, in his Foreword to Sri Bobde's book Garland of Divine Flowers has expressed a desire that 'Sri Bobde, who possesses a sentimental mind may get an opportunity to add to this wreath numerous other flowers'. 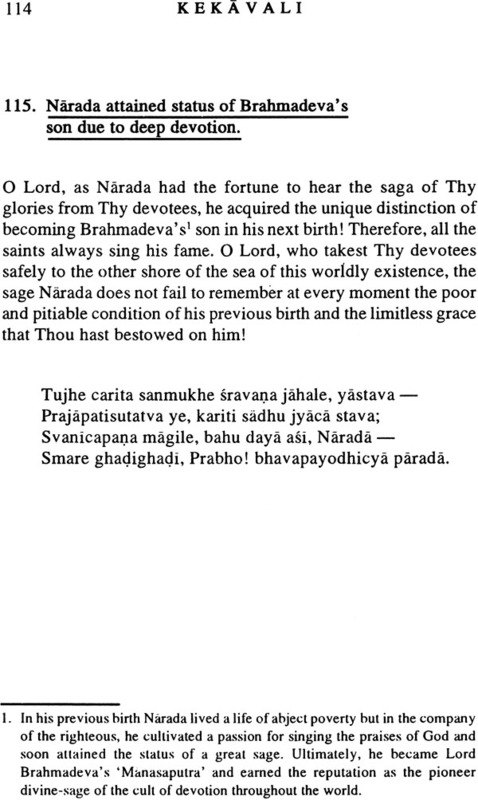 Prof. Joshi should be happy to note that Sri Bobde has come up to the mark by presenting this beautiful English prose rendering of Moropanta's Sloka Kekavali. This would also, no doubt, give contentment of an achievement to Sri Bobde and pleasure to his friends. I have great pleasure in presenting to the readers the English prose translation of Kekavali the immortal poem of the great Marathi poet Moropanta of the eighteenth century. The poem is a precious gem in the treasure house of the Marathi poetry. It is so exquisite that even after a long period of two hundred years, it has not lost its spell on the Marathi-speaking people even today and would doubtless continue to lure them for several generations to come! Instead of my describing the greatness of the poem to the readers, I would rather let them go through the poem and experience for themselves the grandeur and beauty of it. A reading of the poem is bound to remind the reader of Gurudeva Tagore's Gitanjali. Though the outward form and the way of exposition of these two poems differ, yet there is a point common in between them and that is the dialogue of the authors with the Supreme Lord and their quest for Him! 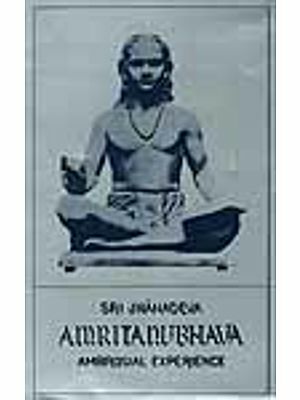 Whereas Rabindranatha' s poetry takes us to the Himalayan height of the Upanisadic thoughts, the poetry of Moropanta leads us to the sacred land of the doctrine of devotion as expounded in Srimadbhagavata Kekavali could therefore be aptly called as the Gitanjali of the eighteenth century! While translating the poem, I have taken meticulous care to see that the translation reflects the original in its entirety. There are a number of mythological references appearing in the poem. With a view that the readers may be able to appreciate and enjoy the beauty of the poem without any difficulty I have given copious footnotes at the end of each stanza for their guidance. A glossary of important Sanskrit and Marathi words with their English equivalents is also appended to the book. A short account of the life and literature of the poet is in- cluded in the book for information of the readers. I am grateful to Dr. G.M. Ranade, a renowned scholar and a reputed Marathi writer, for going through the manuscript and writing Foreword to the book. In order that the readers not acquainted with Marathi may appreciate the form and the beauty of the poem, I have reproduced the text of the entire poem in Roman script for their convenience. A chart showing the diacritical marks used in this book is appended for ready reference of the readers. I have given captions to all the stanzas though these do not appear in the original. I am grateful to Prof. G.W. Kaveeshwar of Indore, an eminent Indian philosopher and a renowned scholar, for having critically examined the manuscript of Kekavali on my special request. A number of valuable suggestions made by him have been incorporated in the manuscript. I have no doubt that the book would prove to be a source of joy to the readers.